Request a free 2017 Cool Parts calendar and never miss a project deadline next year. 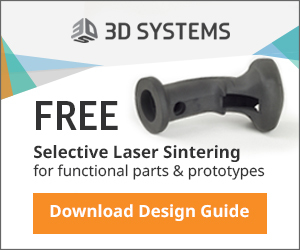 Each month, you’ll be greeted by a new, innovative part made possible by rapid manufacturing processes like 3D printing, CNC machining, and injection molding. Get your 2017 Cool Parts calendar. Robots: Ballbot now has only two moving parts! The right coupling for motion control? What’s so great about HCCI engines? Increase technology and reduce drive requirements! Many engineers want to use self-lubricating plastic linear bearings, but are challenged with manual applications and heavy loads, or struggle with drive force configuration. In this brief technical guide, learn how hybrid linear bearings can help improve application challenges by reducing bearing friction, reducing drive force requirements, and more. Download the technical guide from the igus experts here. A team of scientists from the Department of Energy's Oak Ridge National Laboratory and the University of Florida has developed a novel "semi-open" natural gas-fired design that could yield lower-cost, higher-efficiency systems for water heating in residential buildings. Orion Fans has helped ETSEIB Motorsport, a team of Spanish engineering students, reach a milestone in electric formula racing. Orion Fans' Axial DC fans were a key element in developing the first effective fan cooling solution for the carbon-fiber Formula SAE hybrid car's power system. More than a decade ago, Ralph Hollis of Carnegie Mellon University invented the ballbot, an elegantly simple robot whose tall, thin body glides atop a sphere slightly smaller than a bowling ball using multiple motors, rollers, and belts. The latest version, called SIMbot, has a new spherical induction motor design with just one moving part: the ball. The only other active moving part is the body itself. There is no traditional mechanical drive system. The battery-powered manned helicopter program put together by Tier 1 Engineering achieved a record 5-minute cruise flight to 400 ft altitude with a peak speed of 80 knots on Wednesday, Sept. 21. The helicopter was a modified Robinson R44 running on lithium-ion batteries and test piloted by Captain Ric Webb of OC Helicopters. In response to the questions they've received about designing with retaining rings, Smalley engineers put together the "Understanding the Form, Fit and Function of Retaining Rings" eBook to answer all of your retaining rings questions. French multinational corporation Schneider Electric will release nearly 400 new solutions this year for electricity distribution and automation management. That's more than one a day! In a new push, Stratasys 3D printers are delivering time and cost reductions of up to 90 percent throughout the Schneider Electric manufacturing process, including injection molds, manufacturing tool prototypes, and product prototypes. 3D printing of spare parts and low-volume part production are also being explored. The Bebionic myoelectric hand prosthesis was recently developed to help with daily life challenges. Powerful, small FAULHABER motors ensure that the prosthesis can grip without any problems, quickly and firmly, and maintain a constant gripping force. Two electrodes integrated into the prosthesis shaft detect the myoelectric signals and forward them to the control electronics. These signals are amplified and used to activate the 5 small electric motors. The FV-3543-2 radiometric thermal camera from Industrial Video & Control (IVC) can aid in the detection of hot spots and abnormal hot and cold temperature changes in industrial processes and equipment. Using this camera to identify abnormalities early, customers can avoid catastrophic system upsets, improve process continuity and product quality, and maintain worker safety. The camera is ideal for a range of industrial applications, including metals manufacturing, food processing, engine testing, and flare stack monitoring. 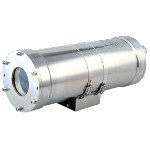 It captures temperatures and thermal images continuously in up to six user-defined zones. In an effort to increase the options available to thermal engineers in the growing market for silicone thermal interface materials (TIM), Shin-Etsu Silicones of America recently premiered its SDP-5040-A/B Gap Filler product. The non-adhesive product is part of the high-performing SDP Series, which are two-part room-temperature-cure silicone-based materials with a high thermal conductivity. These products are ideal for cooling automotive electronics, power converters, LED lighting modules, communications modules, and other electronics. Cure time can be reduced with the addition of heat. In industries where special safety requirements are implemented, special component materials must be used. To comply with the EN regulation 45545, the new European fire protection standard for railway vehicles, igus has developed and released a new self-lubricating bearing material called iglide RW370. This material is also extremely resistant to wear, chemicals, and other media. Bearings made from RW370 have been extensively tested at the igus laboratory in Cologne, Germany, and they are well suited for door guides and hinges, as well as in rotating joints and adjustment mechanisms for seats and tables. 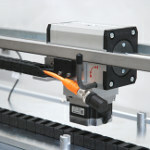 New from Amacoil/Uhing is the Precision Motion Drive System. This is a Model RG rolling ring linear drive integrated with a motion controller for precision linear motion applications. The Precision Motion Drive is fully programmable and meets application requirements for precision winding/spooling, pick-and-place machines, X-Y coordinate tool movement, metrology equipment, and other machinery, providing fast, accurate positioning and reciprocating linear motion. Depending on the size of the RG drive nut in the system, the Precision Motion Drive System provides from 7 to 800 lb of axial thrust. The almost video-game-like Chevrolet Colorado ZH2, the most extreme off-road-capable fuel-cell-powered electric vehicle ever from General Motors, was revealed Oct. 3 at the 2016 Annual Meeting and Exposition of the Association of the United States Army (AUSA) in Washington, D.C.
Beavers and sea otters lack the thick layer of blubber that insulates walruses and whales. And yet these small, semiaquatic mammals can keep warm and even dry while diving by trapping warm pockets of air in dense layers of fur. Inspired by these fuzzy swimmers, MIT engineers have now fabricated fur-like, rubbery pelts and used them to identify a mechanism by which air is trapped between individual hairs when the pelts are plunged into liquid. When matching a bullet to a gun, examiners look at striations that are carved into the bullet by rifling in the gun’s barrel. If the cartridge case is left behind, they can also look at impressions left on it by the weapon’s breech face and firing pin. But these clues can sometimes be misleading. A new 3D forensic science database developed at NIST will provide a statistical foundation for more reliably linking bullets to the guns that fired them. Are you using the right coupling for your motion control application? Servometer® precision motion control couplings are available with both set screw and clamp style ends. Electrodeposited bellows technology offers seamless construction and the best combination of flexibility and strength among couplings technologies. These versatile, flexible nickel and stainless steel shaft couplings are capable of accommodating misalignments for parallel, angular and axial motion. Their recently released video showcases these unique characteristics, capabilities, design and various applications. 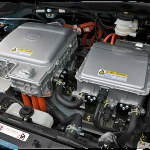 Homogeneous charge compression ignition (HCCI) is an alternative to traditional gasoline or diesel engines that doesn't use a spark or fuel injector for ignition. Instead, a homogeneous mixture of air and fuel is ignited simply by compression, resulting in lower combustion temperatures. This translates to improved emissions and better efficiency. Jason Fenske from Engineering Explained talks about the pros and cons of this emerging technology.